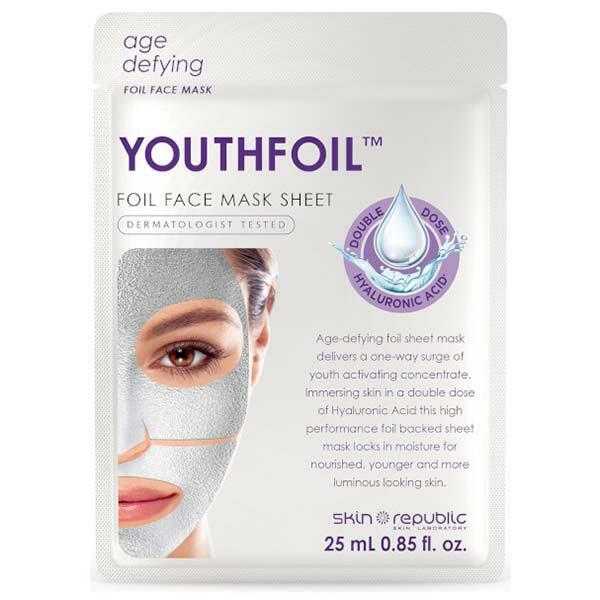 This foil based face mask from Skin Republic contains a double dose of Hyaluronic acid which is used to moisturise and plump the skin. The foil ensures that the liquid is absorbed into the skin rather than being evaporated from the mask. this highly hydrating face mask contains a blend of collagen, elastin and vitamins C and E which reduces the signs of ageing and protects against environmental pollutants.